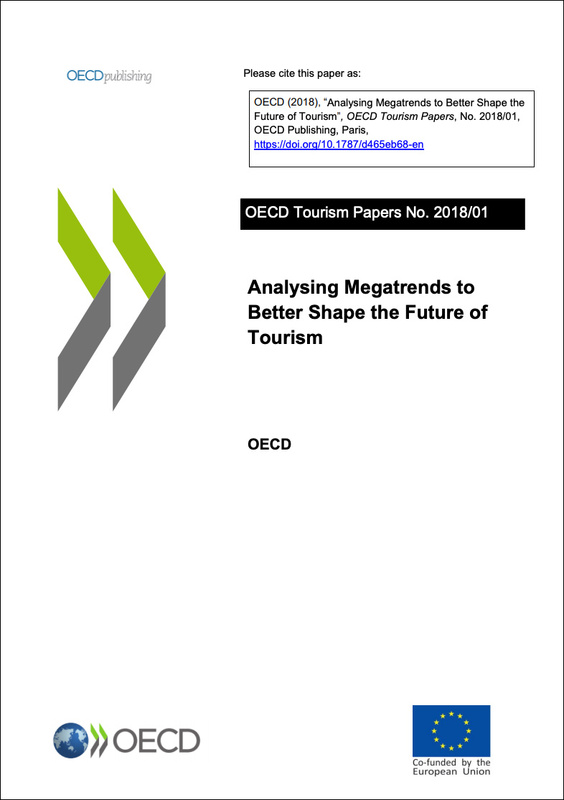 In this new research contribution written for the OECD, we deepen our previous analysis of the megatrends affecting the future of tourism. This report develops a range of plausible scenarios and potential policy responses for tourism megatrends. It then examines how policy makers can better prepare for megatrends and presents a set of guiding principles for effective strategic foresight in tourism. The future of tourism will be impacted by large-scale social, economic, political, environmental and technological changes, bringing new and often unseen challenges, threats and opportunities. These “megatrends” are slow to form, but once they have taken root, exercise a profound and lasting influence on human activities, processes and perceptions, including for tourism. Four megatrends are likely to have significant impacts and relevance for tourism: i) evolving visitor demand; ii) sustainable tourism growth; iii) enabling technologies; and iv) travel mobility. Exploring the multidimensional implications of these megatrends to 2040 is important to inform policy and shape the future of tourism.